The top performers in this course will be given paid internship opportunity at RostrumLegal, Bangalore. Register now & get 50% scholarship! Use code ‘LEARN50’ in the registration form. It’s a fact that due to lack of skills law students spend 90% of their time in the internship either doing nothing or clerical work. This courses will equip you to perform better during your internships, making you job ready and ready to face the professional competition. Learning to know how to effectively draft legal documents will prove to be an asset to your career. This skill will also give you a competitive edge over others. This course is developed specially for Law Students, Young Lawyers, Chartered Accountants and Company Secretaries. 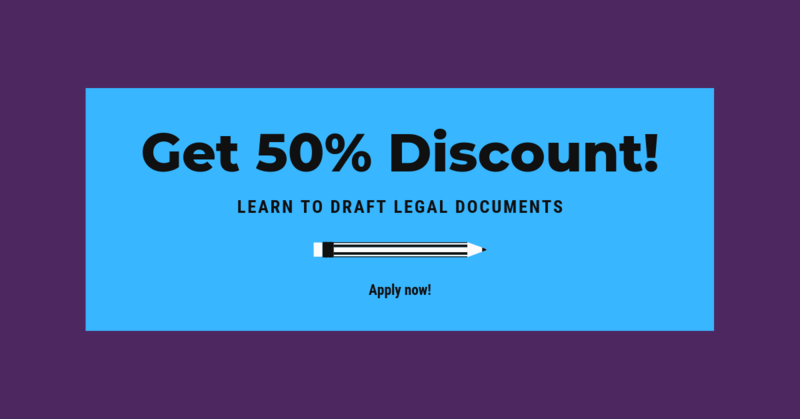 Anyone interested in learning to draft legal documents can enroll in this course. This is course will prove helpful to you in increasing your efficiency in legal drafting. Each course is like an interactive textbook, featuring recorded videos, quizzes, and projects. Certified Honours Student recognition will be given to high achieving students in the course. The honours badge will be issued to students scoring more than 80 percent in the online test.